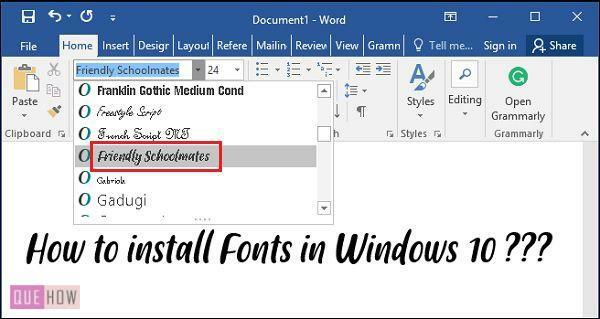 Windows 10 provides a number of classy and stylish fonts to create an attractive document. Well, if you’re not satisfied with the pre-installed ones, you can install new fonts of your choice. So many fonts, fancy as well as decent, are available on the web which can be easily downloaded to your system. But just downloading won’t serve enough. 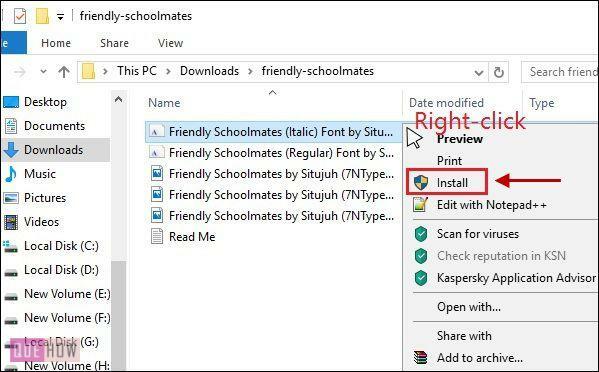 To use the new downloaded fonts, you need to add them to the fonts in your system, by which we mean the installation part. 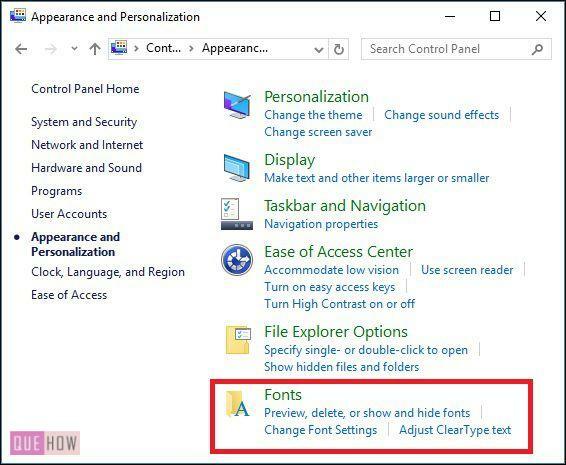 However, you can also delete the new fonts you have installed or you can restore the default fonts in case of an inconvenience. 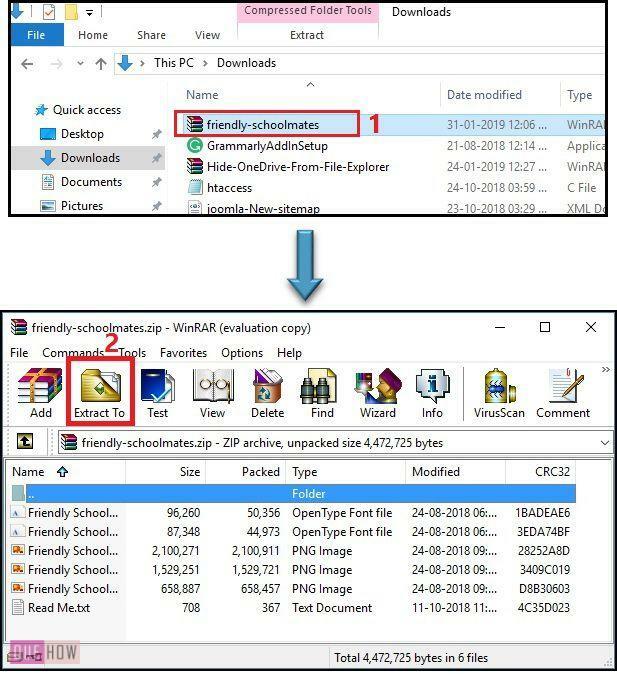 a zipped file which needs to be extracted to a folder. Files other than these can be malware or virus which may harm your system. 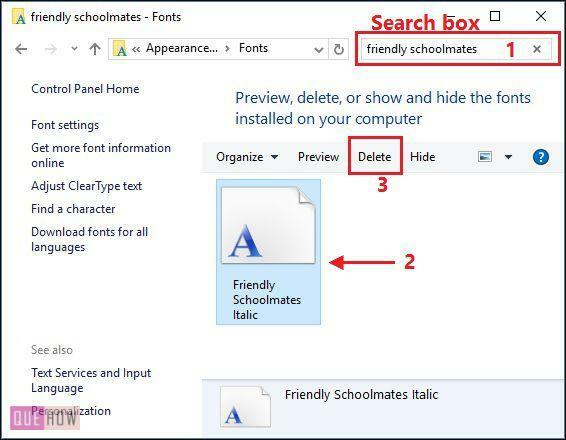 So now we have downloaded a font named Friendly Schoolmates and extracted the zip file to the Downloads folder. While you can choose any folder. Select the folder where you want to extract the files and click OK. Step 1: Right click on the font file and select Install. That’s all. Or you can follow another approach. Step 1: Copy the font file. You can select the file and press CTRL + C to copy or right click on the file and click on the option copy. 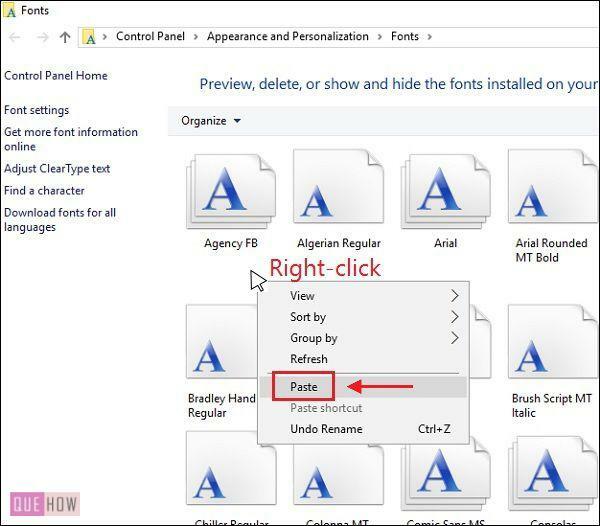 Step 2: Now enter Fonts in the Search box present on the taskbar. 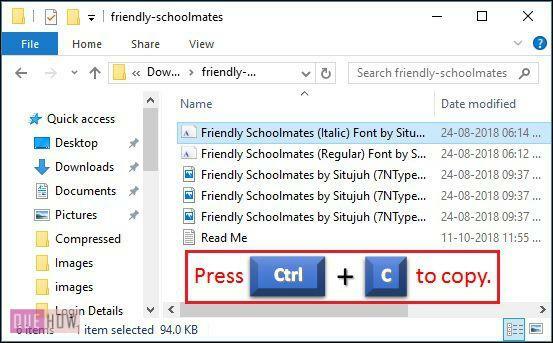 This will open a folder which contains the pre-installed fonts on your computer. Step 3: Paste the copied font file here. This will install the new fonts in your System. You can check and use the newly added fonts in any text editor. Step 1: Open Control Panel > Appearance and Personalization > Fonts. You will be taken to the same folder that you accessed in the previous procedure to paste the font file. Step 2: Enter the name of the fonts you want to delete in the search box. Step 3: Select the font and click on the delete option which appears at the top of the list (or just press delete key on the keyboard). 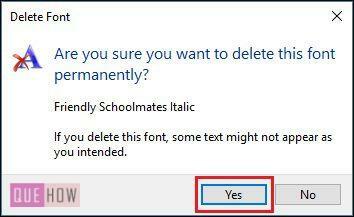 Step 4: Click on ‘Yes‘ to confirm and the font will be removed from the system. 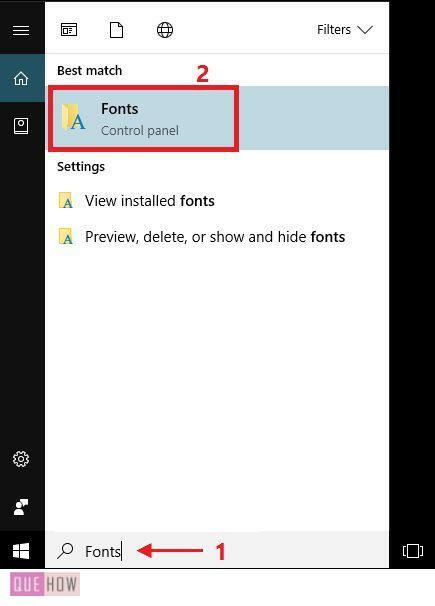 In case, you have installed so many fonts that are not required or deleted some important pre-installed fonts, then you can reset the font settings to the default. It will provide you with that set of fonts which was initially installed on the system. 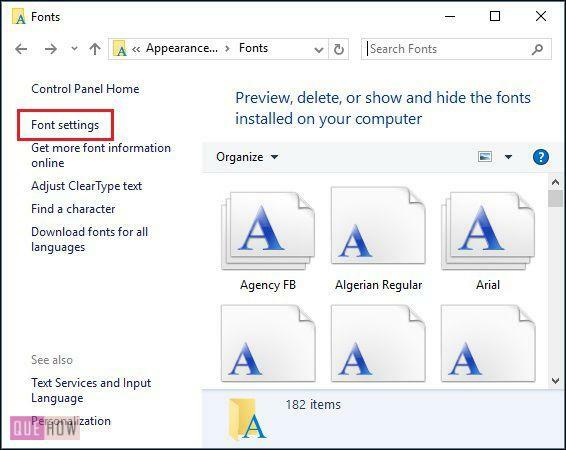 Step 1: Type Fonts in the Search box on the taskbar to open the folder containing the existing Fonts in the computer. Along with the installed fonts, you will find multiple options regarding the control panel and fonts on the left-pane. Step 2: Select Font settings. Step 3: Click on Restore default font settings. 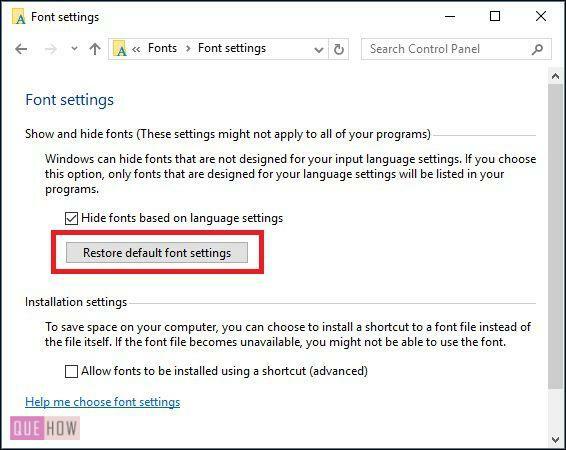 As soon as you click on this option, the font settings of your computer will be reset to default. 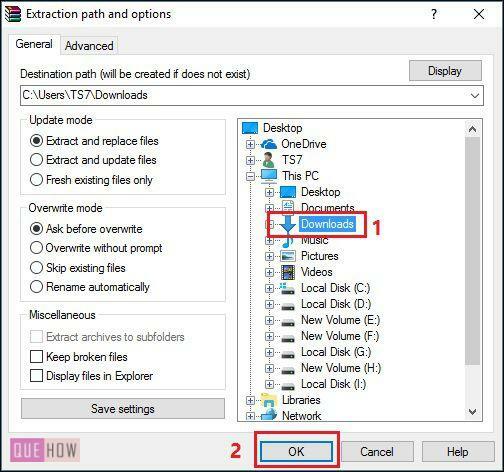 How to Delete Temporary Files in Windows 10?